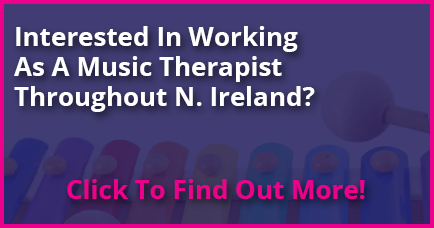 Music Therapy and older adults is an area in which MTCNI can help facilitate sessions addressing various types of issues, including dementia, stroke, mental health or in providing end of life care. Music Therapists can work individually with clients or within small groups to encourage socially isolated individuals to come together to enjoy the benefits of Music Therapy as part of a community. Music Therapy fits within a person-centred model of care that focuses on promoting key areas of psychological need in dementia: such as comfort, attachment, inclusion, occupation and identity. It also provides a lovely opportunity for families to share and experience with their loved one in a setting in which they are relaxed, animated and actively participating in the music. Promote social interaction such as turn-taking, eye-contact, listening etc. Reconnect clients with their emotional past through singing familiar songs. 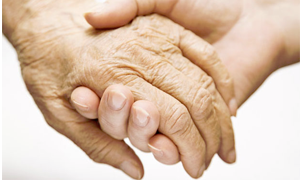 Help to alleviate the anxiety and depression often associated with dementia. Reduce isolation, promote active engagement, communication and creativity. Stimulate memory and provide opportunities to reminisce through the use of song and talking. Encourage a sense of self through improvised music. Facilitate relaxation and help with agitation. Facilitate gentle exercise through moving and dancing to music. Encourage the expression of feelings such as anger, frustration, sadness. Enhance exploratory and creative abilities. Develop self-esteem and a sense of self worth.